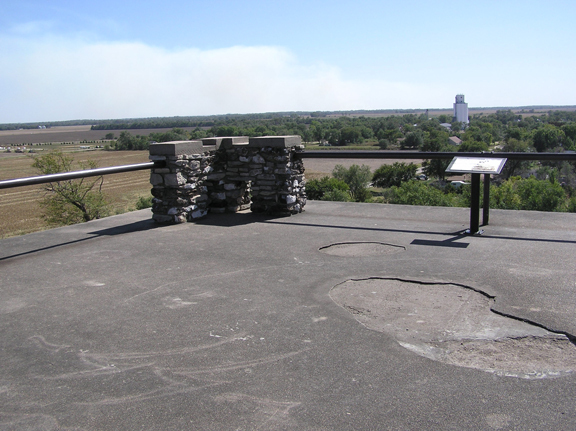 In the late 1800s from this vantage point the dust of military expeditions from Fort Harker on the east and Fort Larned on the west could be seen on a still day. As you walk the grounds at Pawnee Rock, interpretive signs tell the story of the Santa Fe Trail, its travelers, and the native people that once called this region home. Visitors can enjoy a picnic under the shaded pavilion. Catch a 360-degree view of the area from atop the viewing pavilion as did earlier travelers on the trail. Read diary accounts of trail travelers like Harriett Bidwell Shaw who mention the outcropping, along with Susan Magoffin and Kit Carson.